Smartphones and tablets are slowly taking over the PC space, and are expected to constitute nearly 80 percent of device spending by 2017. Research firm Garter predicts that by 2017, nearly half of first-time computer purchases will be a tablet. “Computing power will be cheap and covert. We won’t know it is there; it will be in our jewelry and in our clothing,” says Peter Sondergaard, senior vice president at Gartner and global head of Research. Gartner further states that global IT spending is expected to touch $3.8 trillion in 2014, a 3.6 percent increase from 2013. “The Digital Industrial Economy will be built on the foundations of Nexus of Forces (which includes confluence and integration of cloud, social collaboration, mobile and information) and the Internet of Everything by combining the physical world and virtual." adds Sondergaard. “Digitalization exposes every part of your business and its operations to these forces. It is how you reach customers and constituents; how you run your physical plant; and how you generate revenue or deliver services. Enterprises doing this today are setting themselves apart and will collectively lead the new Digital Industrial Economy." Gartner's prediction corroborates the IDC report that also forecasted that tablet shipments will surpass PCs by Q4 2013, and annually by 2015. The report stated small connected devices, comprising PCs, tablets, and smartphones, have grown nearly by 27.8 percent year on year in 2013. 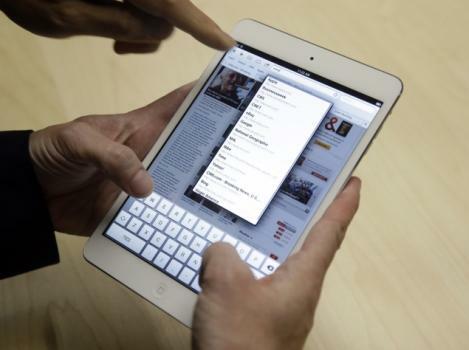 The research firm added that the growth is driven by tablets and smartphones sales. How to delete yahoomail inbox all by one time?